Back for its third annual round, Dubai Startup Hub, an initiative of the Dubai Chamber of Commerce and Industry, in partnership with Smart Dubai, has launched the 2018 edition of the Dubai Smartpreneur Competition. The competition seeks to give startups the potential to become part of Dubai Government’s Strategy to “elevate the city into a global platform for innovation-focused businesses.” Open to all entrepreneurs based in the UAE, this year, the competition’s categories are on startups who have concepts in the field of blockchain, artificial intelligence and digital transformation. Entries will be critiqued by a panel of judges, after which, 50 finalists would be chosen to attend two full-day workshops on sector-specific training, mentorship, building relationships and developing a full business plan, ending with a live pitch for 10 finalists and an exhibition booth at ArabNet Digital Summit 2018. The top three winners would compete in a final live pitch and receive a cash prize of AED 150,000, and the opportunity to join a number of the Dubai Startup Hub’s annual programs and receive a startup support package, including access to its MarketAccess program, legal assistance, financial advice, fundraising and mentorship opportunities, and overseas trade missions, Dubai Chamber Events and trainings. 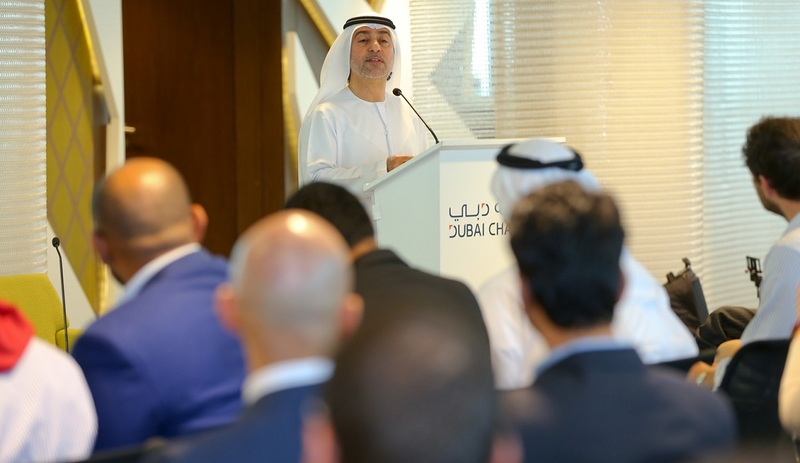 During the launch event, Dubai Chamber Vice Chairman, Hisham Abdullah Al Shirawi commented on how the competitions in 2016 and 2017 has brought concepts which has improved the local ecosystem, and wider society. Essa Al Zaabi, SVP – Support Services, Dubai Chamber of Commerce, noted on how startups can leverage Dubai Chamber’s offerings of training and network opportunities to relevant stakeholders for the competition. Applications are now open till April 9, 2018. For more details, follow the hashtag #DXBSmartComp on Twitter and Instagram and stay tuned to @DubaiStartupHub for updates and announcements. To submit your application, head to www.dubaichamber.com/smartpreneur.